The Truth About Cancer: A Global Quest is billed as “the documentary series the mainstream media refused to air.” It consists of eleven episodes and is produced by Ty Bollinger, an outspoken supporter of natural treatments for cancer. Episodes 1 and 2 are currently available online. Ty Bollinger started his quest because several of his family members had died of cancer despite conventional cancer treatment. He believed they had died not of the cancer but of the cancer’s “so-called treatments” and “false treatments.” He doesn’t explain which cancers they had, what the treatments were, or why he calls them “false.” He was angry, and he wanted his relatives’ lives to matter; he thought he could give their deaths meaning by seeking out alternative treatments that would have saved them and could save others. He was an accountant and bodybuilder, untrained in science or medicine. He started out with the conviction that conventional cancer treatment was a fraud, and confirmation bias had a field day. Instead of learning about cancer from reliable sources, he avoided mainstream cancer experts and researchers and only interviewed alternative practitioners from all over the world who agreed with his premise. He eagerly swallowed everything they told him. He says, “You are about to learn the best treatments and preventions to cancer, protocols that won’t harm your body, from the world leading doctors across the globe.” He promises to show viewers science and documented evidence. He promises to expose the lies of conventional cancer treatment. He thinks he has information that will eradicate cancer once and for all. He couldn’t be more wrong. The people Bollinger interviewed are not the world’s leading doctors, but infamous characters whose non-science-based views are notorious. I was only too familiar with many of the names: Matthias Rath, Mike “Health Ranger” Adams, Joseph Mercola, Jonathan Wright, Rashid Buttar, Russell Blaylock, Stanislaw Burzynski, and Tullio Simoncini. I will restrain myself and simply say these individuals are not reliable sources of health information. Others I was not familiar with, but they included “cancer conquerors” (patients with testimonials), journalists, chiropractors, naturopaths, integrative medicine practitioners, and operators of cancer clinics in Tijuana. He couldn’t have picked a more biased sample. He didn’t interview people like Siddhartha Mukherjee (the author of The Emperor of All Maladies ), oncologists, or cancer researchers. I have a rule, the SkepDoc’s Rule: before you believe a claim, make sure you understand who disagrees with it and why. Bollinger fails to do that. His mind is made up, and he is only willing to listen to people who agree with him. He asks questions like “Why would anyone prescribe poisons like chemotherapy?” but doesn’t consult the people who could answer and help him understand. He interviews patients who survived treatment with alternative medicine but doesn’t interview the families of patients who died.
? The Lost Book of Remedies PDF contains a series of medicinal and herbal recipes to make home made remedies from medicinal plants and herbs. Chromic diseases and maladies can be overcome by taking the remedies outlined in this book. The writer claims that his grandfather was taught herbalism and healing whilst in active service during world war two and that he has treated many soldiers with his home made cures. Chemo started with mustard gas. Yes, that’s true, but so what? The American Cancer Society explains the history of how observations of soldiers exposed to mustard gas led to an effective treatment for lymphoma. He ask: “Why is modern medicine so drug-intensive?” My answer: because drugs have been proven to work. And because efforts to get patients to improve their health by lifestyle modifications are so often fruitless. He claims that 97% of people who undergo chemo are dead in 5 years. That is absolutely not true. The study that claim is based on omitted all the types of cancer that chemo is most effective for, and it lumped chemo intended to cure with chemo used as an adjuvant or for palliation. He perpetuates the lie that 90% of oncologists wouldn’t take chemotherapy themselves. That myth was based on another old study where oncologists were asked about an experimental chemotherapy regimen for one specific type of incurable lung cancer. The majority of them thought that the evidence available at that time showed that cisplatin and other experimental chemo drugs were ineffective and toxic. Keep in mind that lung cancer is not particularly amenable to chemo. A 1991 study in the British Journal of Cancer found that the majority of oncologists would take chemotherapy; for instance, 98% of oncologists would take their own medicine if they had stage IV Hodgkin’s disease, a cancer for which chemotherapy has been proven effective. He claims that chemotherapy stimulates cancer stem cells. He interviews Blaylock, who seems to confuse embryonic stem cells with cancer stem cells. He says chemo has no effect on stem cells, only on daughter cells. After killing daughter cells it comes back “infinitely more aggressive.” When asked to explain, he says it’s complicated but has to do with chemistry and the micro-environment of the stem cell, producing cytokines that cause more DNA damage which makes the cancer more aggressive and more likely to metastasize. He can’t explain it because it isn’t true. Sayer Ji claims that chemo “enriches” cancer stem cells; there’s no evidence for that. They claim that chemo harms every patient; it is referred to as “a suffering instead of a treatment.” They say that doctors who won’t prescribe it stand to lose their license. The tentacles of the medical cartel reach everywhere. Chemo causes side effects, which gives doctors a reason to prescribe more drugs and multiplies their business. Breakthroughs in immunotherapy are misrepresented: immunologist and inventor A.J. Lanigan says “I don’t know that chemo has been successful at any level” except for making money. He sure doesn’t know much! Rashid Buttar asks, “How is mandating chemo for children any different from Nazi Germany?” (Godwin’s Law strikes again!) It is trivially easy to answer that question, and it is grossly unfair of Bollinger not to interview anyone who knows the answer. Sayer Ji says studies show that turmeric, resveratrol, and green tea are superior to chemo. (Not true.) The drug companies supposedly ignore the evidence because they can’t patent a natural substance and prefer to make money by creating artificial ones. That’s just silly. The same companies that manufacture pharmaceuticals make plenty of money from vitamins and supplements. And they can take a natural medicine, isolate the active ingredient, improve on it, and patent their discovery; in fact, about half of our drugs were developed from plants through that process. They cite problems with Big Pharma like ghost-written articles, studies where data were made up or manipulated, and corporate malfeasance of various sorts. These are things the medical establishment is well aware of and is trying to fix, with prominent projects like the All Trials campaign. But they go much further to demonize Big Pharma. Matthias Rath says Big Pharma companies were directly responsible for creating concentration camps and for the death of 60 million people. They wanted slave labor and put profits over lives. They created the system; later the Nazis decided to use it to kill Jews. Godwin’s Law again! Burzynski says the real war is being waged not on cancer but on unconventional doctors like him. He and Wright complain of being persecuted. They cite the Fitzgerald Report to congress in 1953 that supposedly revealed a conspiracy to close and destroy clinics, hospitals, and scientific research facilities that do not conform to the viewpoint of medical associations. It documented suppression of natural treatments, “and it’s in the Congressional Record!” Mercola claims information about laetrile was suppressed. It wasn’t. Laetrile was extensively investigated and shown not to work, so it was not approved by the FDA. This was no conspiracy: it was science in action, working to protect the public as the FDA is mandated to do. They claim there is a conspiracy of the FDA, Big Pharma, and the AMA to suppress unconventional treatments. For instance, Royal Rife “knew there were microbes inside the cancer cells” and developed a machine that he claimed cured cancer by attacking the vibratory frequency of microbes. It wasn’t accepted by mainstream medicine (for very good reason!). Burzynski says there is merciless harassment of doctors who are inventors. He says he is saving people who would have died. He accuses the mainstream of obeying orders like Nazis. (Godwin’s law strikes yet again!) Buttar says it’s considered OK if patients die with chemo, but it’s not politically correct if they use CAM and survive. Tullio Simoncini says all new discoveries are shut down. “If you withhold treatment that can save someone’s life, isn’t that the same as murder?” Jonathan Wright claims a doctor in Alabama was treating cancer successfully with intravenous hydrochloric acid. He supposedly was visited by AMA and asked to sell his treatment and told if he didn’t he’d never be published again. He didn’t and he wasn’t. Harry Hoxsey’s cancer treatment allegedly worked. The AMA supposedly wanted to buy it and bury it. Hoxsey went to jail. Patients were loyal. The Hoxsey treatment is still available in Mexico. 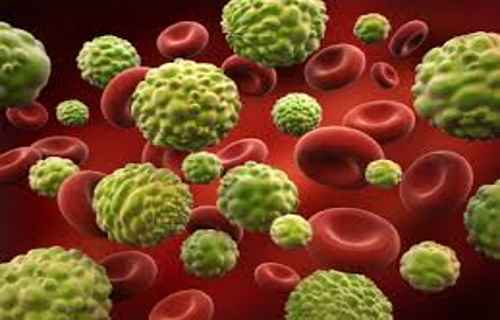 They use a formula that targets only the malignant cells, plus diet, vitamins, herbs, etc. The whole regimen takes one day. The truth is that there is no conspiracy. The establishment would gladly accept any of those unconventional treatments if there were credible evidence that they did more good than harm. For example, he interviews Chris Wark, “cancer conqueror.” David Gorski has put the record straight; Wark had curative surgery. He refused adjuvant chemotherapy that was not intended to cure but only as insurance to decrease the already small chance of recurrence; he was fortunate, and the cancer did not recur. He thinks he healed himself with diet and natural therapies. He didn’t. It is possible to prevent and cure cancer by lifestyle changes and natural remedies. A healthy immune system can eliminate cancer. Detoxification is necessary for health. I started watching episode 2, about breast cancer and epigenetics, but I quit in disgust after only a few minutes. Angelina Jolie is criticized for letting “irrational fear” persuade her to get a prophylactic double mastectomy. She should have known that our genes do not control life. She could have deactivated her BRCA gene by diet and lifestyle. A chiropractor tells us that the BRCA genes actually prevent cancer and repair DNA damage, and they only mutate to cause cancer when people don’t live right. This amounts to denial of genetics and blaming the victim. David Gorski is a breast cancer surgeon and researcher who knows far more about the subject than any chiropractor and he has explained the BRCA genes and Jolie’s case. The Truth About Cancer is billed as a documentary series. It is not a documentary that tries to honestly present the facts, but a one-sided polemic, a vicious attack on conventional medicine based on misinformation, emotion, mistrust, and opinions that are not based on credible scientific evidence. It omits vital information, presents untruths and distorted partial truths, promotes natural treatments that have never been properly tested or have been tested and proven not to work, and it doesn’t give conventional medicine even the slightest chance to explain itself. Conventional cancer treatment has cured some patients, prolonged the lives of others, and improved the quality of life for some of the ones who can’t be cured. It is ridiculous to talk about “cancer” as if it were one disease. There are many kinds of cancer, and the success rate varies. It is ridiculous to talk about chemotherapy without considering the type of cancer and the evidence for effectiveness, and without distinguishing between chemotherapies that are intended to cure and those that are prescribed as adjuvants, debulkers, or palliatives. We have seen incredible successes for many children’s cancers, and some adult cancers have been changed from a death sentences to a manageable chronic disease. Bollinger doesn’t tell us about the patients who almost certainly could have been cured of cancer but who died because they rejected proven conventional treatments in favor of unproven natural treatments and outright quackery. He presents unconventional treatments as having been proven to work; they haven’t. If they had, they would be mainstream treatments and every oncologist would be using them. Bollinger’s approach is as unfair as a trial where the prosecution is given carte blanche and no defense is allowed. This is a very unfortunate series, filled with misinformation but produced slickly, effectively appealing to emotion, and likely to mislead scientifically-naïve viewers and probably even some scientists who ought to know better. I predict that Bollinger will have blood on his hands: people will suffer and die unnecessarily because they believed this was “the truth about cancer” and were persuaded to reject lifesaving treatment. Interesting the 6 or 8 natural cancer-treatments doctors who were part of the nagelese protein isolation were all murdered, eh? But we won’t talk about ‘silly conspiracy theories’, will we? Yes, never mind the numerous murders of naturalistic doctors seeking to stand up to the murderous thugs of the medical mafia. Sadly, extreme MSM bias is evident throughout her article. This is a classic example of calling good bad and bad good. She did a lot of research to identify many of the legitimate cancer cures by the alternative medicine champions; unfortunately, she sided with the Big Pharma demons in parroting their lies. How shameful that a professing prepper has sold out to the dark side.